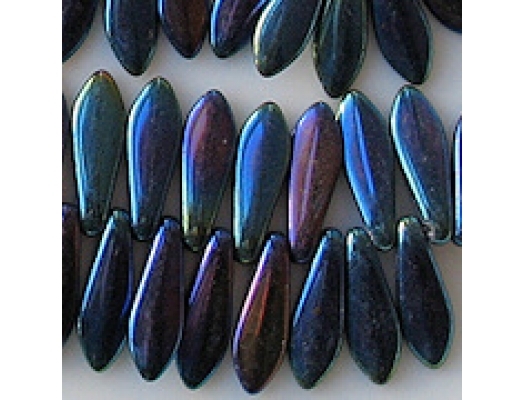 Size/shape: 15.5mm (long) x 5mm (wide) x 3mm (thick) dagger-shaped beads with the hole running sideways through the narrowest end. 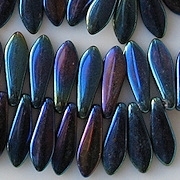 Colors/description: Dark metallic blue with many highlights of other colors: purple, olive green, topaz. 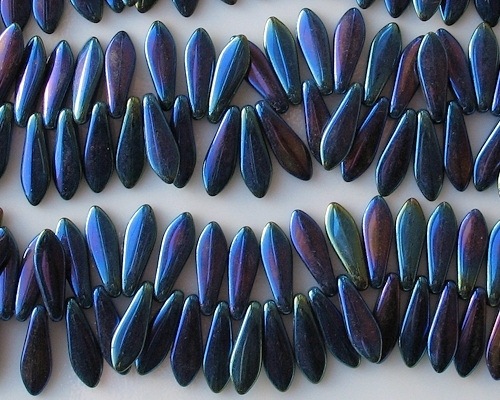 Defects: The beads appear to be in good shape, although an occasional bead may be malformed.